Members learn how to graph a quilt pattern, make templates, cut patterns, and assemble quilts. Calvert Amateur Radio Association is the oldest amateur radio (ham) club operating in Calvert County. Besides having fun talking locally or around the world to hams located anywhere, we provide emergency communications and public services by supporting Radio Amateur Civil Emergency Services (RACES) and Amateur Radio Emergency Services (ARES). We support various public service events needing communications. Please contact us if you need communication support for your event. We are a long standing member of the Amateur Radio Relay League (ARRL). Visit our website for more information. Dedicated to furthering the fiber arts in Southern Maryland, we hold meetings and workshops, and volunteer our time demoing our crafts at local events. An organization for those who like to revive the art of using a spinning wheel to produce yarns from natural fibers such as sheep's wool and weaving these fibers on a loom to produce material such as shawls, blankets, rugs, etc. The Maryland Educational Chess Association (MECA) is a 501C3 nonprofit association. The headquarters is located in Lexington Park. The purpose of MECA is to share the joy and benefits of chess throughout Maryland. We have initiated four community programs in order to accomplish this task: The Maryland Seniors program, Chess in Maryland Schools program, Maryland Residents Program, Alternative Chess Therapy. MECA is presently employing these programs in the Tri-county area of Southern Maryland (Calvert, Charles & St. Mary's). Please visit our website to learn more about our programs, club hours and upcoming events. The Patuxent Aeromodelers R/C Club is a group of people who love to build, fly and/or talk about radio controlled model aircraft. We are chartered by the Academy of Model Aeronautics, known simply as the AMA. There are several thousand clubs similar to ours in this country. Any current member of the AMA is eligible for membership in the Patuxent Aeromodelers. The Patuxent Aeromodelers fly at Helwig Field, located on Steer Horn Neck Road in Hollywood, Maryland. Guests are encouraged to drop by and meet with the club members and watch the fun and flying. The busiest flying time is Sunday afternoon. Pax River Quilters' Guild (PRQG) was formed in 1992 to promote cooperation and the exchange of ideas among quilters, and to further the education and skills of our members. Our membership is open to anyone who is interested in quilting. Many opportunities are available for members and we hope that as a member you will participate in a variety of them. Do you have an interest in history, costuming or sewing? We are a group of people interested in the research, construction and art of costuming. We hold meetings every first Thursday of each Month at Jefferson Patterson Park & Museum at the Breckinridge Education Center. In the future we hope to bring to our members opportunities to participate in living history events, lectures and workshops. 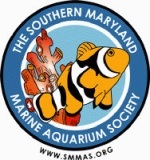 The Southern Maryland Marine Aquarium Society (SMMAS) is a friendly gathering of folks from all walks of life that share an interest in Marine Aquariums. It doesn�t matter if you are a beginner or an expert, we welcome everyone. We have monthly meetings to exchange ideas, discuss current conditions in member�s tanks, share and trade corals, and plan field trips. Our goal is to educate ourselves as well as the general public about the saltwater aquarium hobby and to raise awareness of the delicate reefs we take care of, in and out of our aquariums. SMMAS membership is easy -- $20 per individual or $30 per family.